prestigious New York Intraocular Lens Implant (NYIOL) Society, a group of the most renowned refractive surgeons in the greater New York Metropolitan area. 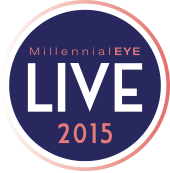 Cynthia Matossian, MD, FACS will be participating as faculty at the upcoming MillennialEYE Live 2015 Meeting in Los Angelos, CA,September 25-27. This is a dynamic technology-driven symposium featuring nationally-recognized ophthalmic leaders. Staff Members Who Excel in Patient Care." The article includes interviews with owner, founder, and Chief Medical Officer Cynthia Matossian, MD, FACS, Practice Administrator Bradley Botelho, and Office Manager Cheryl Price. They discuss how continuous training and the opportunity to evolve contributes to a professional environment staffed by skilled employees, which in turn leads to positive patient experiences. Please read the article by clicking here. Cynthia Matossian, MD, FACS was the featured presenter for the webinar "Ocular Surface: Impact on Surgical Outcomes" designed for eye care professionals across the nation. 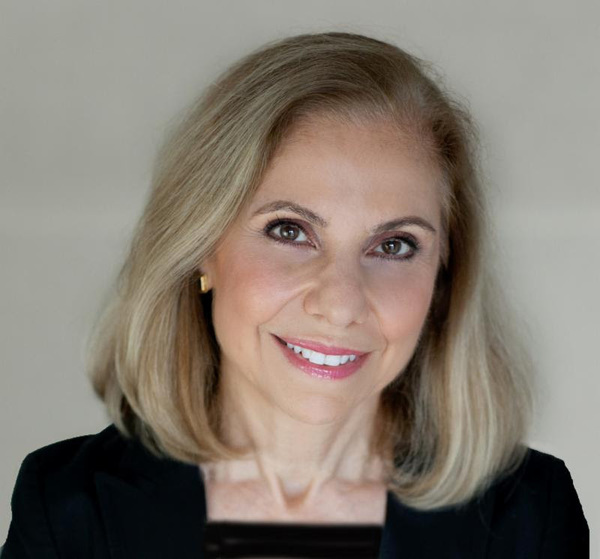 Dr. Matossian also lead a webinar entitled, "Improving the Diagnosis, Management, and Treatment of Inflammatory Dry Eye," addressing hundreds of eye care professionals. Please click here to view the webinar. Matossian Eye Associates proudly welcomes Sebastian Lesniak, MD to our practice. Dr. Lesniak specializes in the medical and surgical treatment of corneal diseases including DSEK and DMEK, cataract surgery including post-LASIK, complex and traumatic cataracts, femtosecond laser-assisted cataract surgery, presbyopia-correcting and astigmatism-correcting lens implants, and refractive surgery including LASIK, PRK, and phakic intraocular lens implants. • The importance of NSAIDs after cataract surgery. FDA-approved water-tight ReSure® Sealant by Ocular Therapeutix. calculations to minimize refractive surprises. ShoutMD is the first private, professional, and social network designed exclusively for board certified specialists to share new insights, discuss the latest research and collaborate with peers to improve patient experiences and outcomes. ShoutMD was developed by ALPHAEON® Corporation, a company committed to partnering with physicians to create new products and services to advance lifestyle healthcare. Please click the video below, featuring Dr. Matossian discussing ShoutMD. Cynthia Matossian, MD, FACS discusses how to introduce over-the-counter products to an eye care practice in her video blog series, "Bridging the Reimbursement Gap." In the first video blog, Dr. Matossian recounts the patient visit that first motivated her to introduce over-the-counter products at MEA. In the second installment, she discusses making the correct artificial tear solutions available to her patients in her practice. In the third installment of the series, Dr. Matossian remarks upon how offering products to patients during checkout in an ophthalmology practice can help bridge the reimbursement gap. In the fourth installment of the series, Dr. Matossian discusses additional ideas to increase and diversify revenue streams. To view these videos, please click here. Stay tuned for more video blogs in this series! ♦ Investigation of trabecular micro-bypass stent system in conjunction with Cataract Surgery (Glaukos). We have are actively enrolling patients in this study. ♦ Tri-Moxi-Vanc (Imprimis Pharmaceuticals) Injection Post-Cataract Surgery and its Effect on Corneal Endothelial Cells. FDA IND submitted and received. ♦ Tecnis Toric (Abbott Medical Optics) 1-Piece IOL Registry. We have reached our enrollment goal. ♦ The Influence of PRN Omega-3 Nutritional Supplement on Visual Acuity Outcomes in Cases Undergoing Cataract Surgery. We have enrolled patients in this study and are actively looking for additional candidates. ♦ Hoffer H5 IOL Formula. This study is in the data collection phase where gender and race are factored in IOL power calculation formulas. ♦ The Efficacy and Safety of a 5.0% Concentration of Lifitegrast Oph. Sol. vs. Placibo in Subjects with DED and History or Recent Artificial Tear Use (Shire). This study is closed. ♦ Measurement of Tear Osmolarity in Cataract Surgeons during 1 Day of their Surgery Schedule. This study is complete. ♦ Evaluation of Ocular Events post Sealing Corneal Incisions with ReSure® Sealant. We are actively enrolling patients in this study. ♦ A Retrospective Data Analysis of MEA Patients Having SJO™ test for Sjogrens Syndrome Testing as Part of Their Dry Eye Disease Workup. We have compiled the data and are working on data analysis and on writing the article for submission. Cynthia Matossian, MD, FACS recently co-authored a paper on "Cataract Surgery and Methods of Wound Closure," with Richard Potvin, OD and Sarah Makari, OD in a peer reviewed journal. Please click the image below to view the video abstract. ​below to view the video. 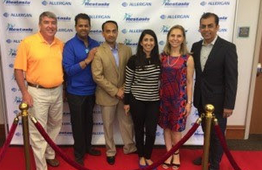 Cynthia Matossian, MD, FACS recently attended the Allergan VIEW Advisory Board Meeting in Chicago, IL. 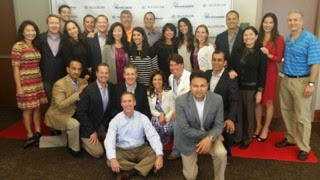 She is pictured below with her fellow board members. On Monday, October 26th, Matossian Eye Associates will be holding a COPE-approved educational lecture for area optometrists in Newtown, PA. For more information, please contact Cait Hutton at chutton@matossianeye.com or (609) 323 1560 x4. Ilya Rozenbaum, MD and Priya V. Desai, MD, MBA have become certified in the use of ReSure Sealant. Cynthia Matossian, MD, FACS spoke on the Tecnis Family of IOLs to a group of ophthalmologists in Syosset, NY. Joan Micucci, COMT spoke on the "Aging Eye" to the Doylestown Hospital Health Connections in April 2015. Cynthia Matossian, MD, FACS spoke on "OMIDRIA - A Novel product for the Prevention of Miosis and Reduction of Postoperative Pain in Cataract Surgery or IOL Replacement" to a group of ophthalmologists in Wilkes-Barre, PA.
Ilya Rozenbaum, MD attended the annual American Glaucoma Society meeting. Joan Micucci, COMT spoke on "Diabetes and the Eye" to the Doylestown Diabetes Support Group in April 2015. Cynthia Matossian, MD, FACS's article "New Doctor on Board: Make a Detailed List" was featured in the July 2015 issue of Ophthalmology Management. Please click here to read the article. Cynthia Matossian, MD, FACS was interviewed for the article, "Value, Cost and Technology " in the July 2015 issue of Ophthalmology Times, please click here to read the article. Cynthia Matossian, MD, FACS's article "Settling to the Penny, Every Day" was featured in the June 2015 issue of Ophthalmology Management. Please click here to read the article. Cynthia Matossian, MD, FACS's article "Intense Pulsed Light Explored as Therapy for Meibomian Gland Dysfunction" was featured in the June 2015 issue of Ocular Surgery News. Please click here to read the article. Cynthia Matossian, MD, FACS's article "Cataract Surgery and Methods of Wound Closure: A Review" was featured in the May 2015 issue of Clinical Ophthalmology. Please click here to read the article. Cynthia Matossian, MD, FACS's article "Effect of Oral Re-esterified Omega-3 Nutritional Supplementation on Dry Eyes: Double-Masked Randomized Placebo-Controlled Study" was featured in the May 2015 issue of Physician Recommended Nutriceuticals. Please click here to read the article. Cynthia Matossian, MD, FACS's article "This Equation Yields More Than One Sum" was featured in the May 2015 issue of Ophthalmology Management. Please click here to read the article. Cynthia Matossian, MD, FACS's article "Topography to Screen Refractive Cataract Surgery Patients for OSD" was featured in the May 2015 issue of CRST Europe. Please click here to read the article. Cynthia Matossian, MD, FACS contributed an article, "TCA is Critical in Patients with Low Astigmatism" to Cassini's Spring 2015 Clinical Review, please click here to read the article. Cynthia Matossian, MD, FACS was interviewed for the article "'Lost' Patients May Welcome Phone Appointment Invitation," in the April 2015 issue of CRST. Please click here to read the article. Cynthia Matossian, MD, FACS's article "It Takes a Practice" was featured in the April 2015 issue of Ophthalmology Management. Please click here to read the article. Cynthia Matossian, MD, FACS's article "Extending the Capability of IOLs: Extended Depth of Focus and Extended Range of Vision IOLs" was featured in the April 2015 issue of American Academy of Ophthalmology. Please click here to read the article. Cynthia Matossian, MD, FACS's article "HEALON Ophthalmic Viscoelastics" was featured in the April 2015 issue of BEYE. Please click here to read the article. Cynthia Matossian, MD, FACS's article "Nidek OPD III," was featured in the April 2015 issue of BEYE. Please click here to read the article. Priya V. Desai, MD, MBA was interviewed for the article, "Focus on Glaucoma: A Bucket Full of Adherence Advice," which was featured in the February 2015 issue of Ophthalmology Management. Please click here to read the article. Cynthia Matossian, MD, FACS's article "Does Your Practice Have a 'Red EyeRoom'" was featured in the March 2015 issue of Ocular Surgery News. Please click here to read the article. Nirali Bhatt, MD's article "Subconjuctival Sirolimus in the Treatment of Autoimmune Non-necrotizing Anterior Scleritis: Results of a Phase I/II Clinical Trial," was featured in the March 2015 issue of American Journal of Ophthalmology. Please click here to read the article. Cynthia Matossian, MD, FACS's article "A Kudo for One Benefits Many" was featured in the February 2015 issue of Ophthalmology Management. Please click here to read the article.